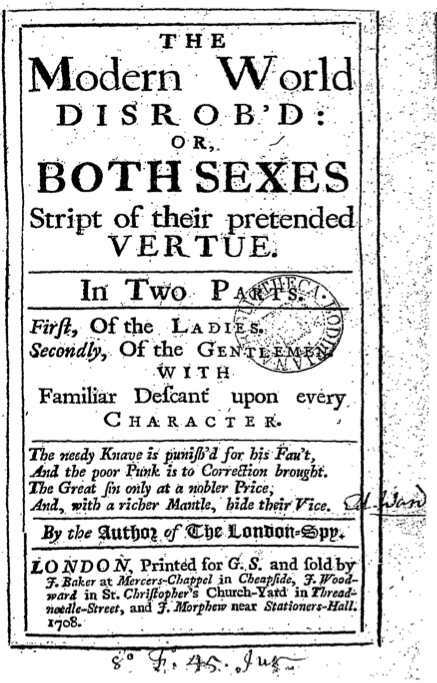 This charming epistle on the horror that is a woman choosing to better herself through education comes from The Modern World Disrob’d (1708), by satirical writer Ned Ward. I’m particularly taken with the idea that the more languages a lady speaks, the more varied the opportunities for scolding her husband with them. Her poor unfortunate husband will find that “she pelts his Ears all Dinner-time with her Latin Scraps” and – even worse – her perceived superiority means that she might feel compelled to “gratify her Revenge by hornifying her Husband”. 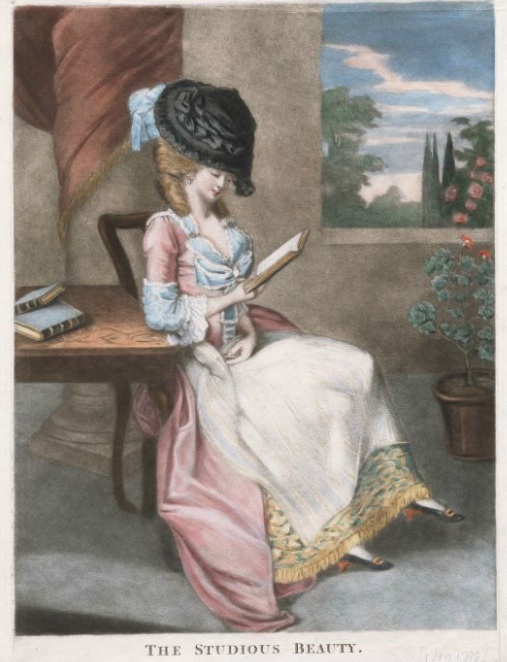 Because ladies what read books also like to sleep around. Obviously. Good old Ned. But fancies she’s a Schollar. She’ll plague you with another. Will rise about the Breeches. The more they are discerning. About the Rules of Grammar. Nothing like a bit of light misogyny on a Wednesday evening! Nice engraving and interesting song! the way to a woman’s heart (and betwixt her legs) is through her mind.